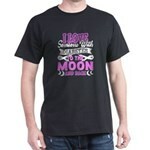 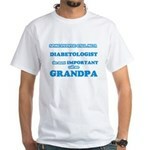 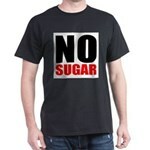 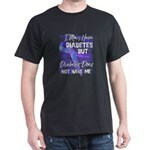 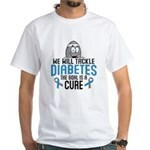 Diabetes Support T-Shirt - Popular diabetic gifts supporting a cure for diabetes. Makes great gifts for charity events, doctors or diabetics. Gray Awareness Ribbon Customized T-Shirt - Gray or silver awareness ribbon can be personalized with a name or support slogan for patients with brain cancer, diabetes,allergies or asthma.